Our Milky Way Galaxy has hundreds of billions of stars and is more than 100,000 light-years across. So how do you pick your favorite star? 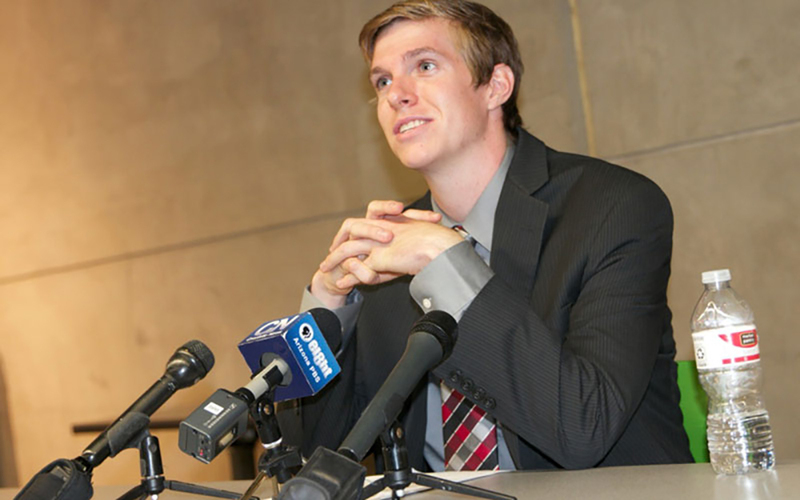 Arizona State University's School of Earth and Space Exploration may be able to help. The exhibit is the brainchild of Steve Desch, an astrophysicist with the School of Earth and Space Exploration. He was looking for a way to convey our place in space and show the solar system in three dimensions. 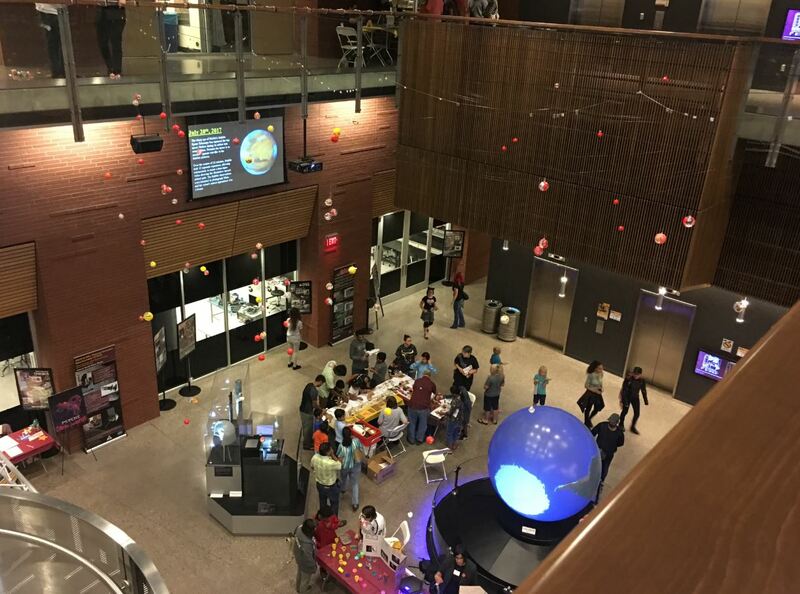 The exhibit is the completion of a "STEAM" (science, technology, engineering, arts and math) project as part of the ASU-led and NASA-funded Nexus for Exoplanet System Science program, or “ASU-NExSS” for short. Desch, who is the principal investigator for ASU-NExSS, leads a team of astrophysicists, geophysicists, biologists and astrobiologists to help devise a strategy for looking for life on exoplanets around other stars. The new art exhibit, which hangs in the building’s Gallery of Scientific Exploration, was created with the help of visitors to the school’s recent Earth and Space Exploration Day. Participants were assigned a specific nearby star and given information about it, then they decorated and personalized a plastic globe representing the star. Many of the stars are quickly seen to be part of double or even triple star systems. Each star is decorated with the actual color of the star. There are three blue stars, each of which is a well-known, bright star in the sky (Sirius, Altair, Fomalhaut). But most are red, and only a few are yellow like the sun. Each star was then expertly arranged nearly exactly as it would be in space. A view of some of the 66 stars in the solar neighborhood, including the bright blue star Fomalhaut. Our planet hunting neighborhood: The stars represented in this exhibit lie within 25 light-years of the sun. How to find your favorite star in the exhibit, located on the Tempe campus in ISTB IV. Some of the stars are famous to fans of science fiction. For example, 40 Eridani is host to the planet Vulcan in Star Trek. The triple star 70 Ophiuchi is host to the planet of House Harkonnen in "Dune." But many of the depicted stars have planets in fact, not fiction. “Amazingly, and appropriately for our ASU-NExSS project, although these are the 49 closest stellar systems, at least 8 of them are known to have exoplanets,” Desch said. The exhibit will be on display through January 2019 in the Interdisciplinary Science and Technology Building IV. The building is open to the public from 9 a.m. to 5 p.m. Monday–Friday and from 1 to 4 p.m. Saturday. To learn more about stars, our solar system and the universe, visitors may also want to visit the building’s Marston Exploration Theater for a 3D planetary show.